A rare but debilitating condition, hereditary amyloidosis (hATTR) presents as seemingly unrelated illnesses that mask the root cause. But increased awareness and new treatment options bring hope for sufferers of this devastating genetic condition. We hear of it too often in health care. Even with the most diligent doctors and patients, sometimes figuring out the correct diagnosis of a rare medical condition can be a challenge. Unexplained weight loss and diarrhea. Shortness of breath during exercise. Carpal tunnel syndrome. Weakness and difficulty balancing that gets progressively worse. Tingling or numbness in the hands and feet. Symptoms like these point to different culprits, bringing patients to a variety of specialists and glimmers of hope as they find potential answers. But treating one symptom doesn’t help the others, and everything gets worse. This particular collection of ailments, among other symptoms, points to hereditary amyloidosis (hATTR), a devastating genetic disease that, up until recently, was considered untreatable. Dr. Fernanda Wajnsztajn is all too familiar with the plight of her patients who have searched in vain for a diagnosis. A neurologist at the UConn Health neuropathy clinic, Wajnsztajn specializes in peripheral neuropathy, damage or disease of the peripheral nervous system. Now these families have options. New drug treatments have been approved to treat neuropathy, the nerve pain, tingling, or numbness that’s a symptom of this little-known disease, and doctors at UConn Health have assembled a team to tackle hATTR head on. Hereditary amyloidosis is caused by a hereditary mutation of the TTR gene. If one parent carries the gene mutation, offspring have a 50 percent chance of inheriting the disease. Hereditary amyloidosis wreaks havoc on the body by depositing amyloid proteins into organs, most commonly the heart, nerves, and digestive tract. These deposits cause the organs to function improperly, which eventually leads to a myriad of debilitating symptoms. Even though the gene mutation is present at birth, most patients don’t experience symptoms until well into adulthood. And even once symptoms start, it can take years for a proper diagnosis. “Hereditary amyloidosis is not a well-known disease. The patient can present with a history of heart problems and receive a diagnosis of polyneuropathy, but if the doctor isn’t familiar with it, they won’t put it together. It’s easy to miss,” Wajnsztajn says. For example, two of the most common symptoms of hereditary amyloidosis are carpal tunnel and cardiomyopathy, or heart muscle disease. Because these two diseases are seemingly unrelated and treated by different kinds of doctors, hereditary amyloidosis can go undetected. The average delay in diagnosis is four years, and in that time, amyloid is continuously deposited into the affected organs, causing symptoms to worsen. Even with the new treatments, a timely diagnosis is important as the medications cannot reverse the symptoms but only prevent further protein deposits that cause the condition to worsen. The earlier a patient can be identified and a course of treatment initiated, the slower the disease will progress. Dr. Fernanda Wajnsztajn (left) and Dr. Sarah Tabtabai discuss a patient case. UConn Health’s multidisciplinary approach can shorten this delay, giving patients relief sooner and stopping hATTR in its tracks. Cardiologists at the Pat and Jim Calhoun Cardiology Center work hand in hand with neurologists from the peripheral nerve disease clinic to examine a patient’s symptoms, get that crucial neuropathy or polyneuropathy diagnosis, and schedule them for genetic testing to confirm a hATTR diagnosis. Once the diagnosis is confirmed, treatment can begin very quickly, and the deposition of amyloid into the organs is halted within weeks — sometimes within days — thanks to neurologists, cardiologists, neuropathy testing, and an infusion center to administer treatment being all in one place. Two treatment options currently exist, one that’s infused intravenously every three weeks, the other given by weekly subcutaneous injection. These new treatments work by inhibiting the body’s ability to create the amyloid protein. They reduce the amount of the protein the liver can make by 84 percent, improving the patient’s quality of life. Clinical trials are ongoing, with the hope that such medications can treat other types of amyloidosis as well. “Before medicines like this came along, there was really no therapy for this particular heart disease. It’s progressive and very debilitating, and the hereditary type, in particular, occurs in younger people,” says Dr. Sarah Tabtabai, cardiologist at the Pat and Jim Calhoun Cardiology Center at UConn Health. Close collaboration between the departments makes everything go smoothly for patients who have already waited so long for answers, says Wajnsztajn. “We work very closely with cardiology to obtain the appropriate exams for diagnosis as quickly as possible. Despite being a challenging or daunting diagnosis, our patients feel fortunate that they finally have answers, and we are able to provide the most advanced treatments along with the support necessary,” she says. Because of the high rate of misdiagnosis, the companies that produce the new medications are currently offering free screenings for patients with suspected hereditary amyloidosis. 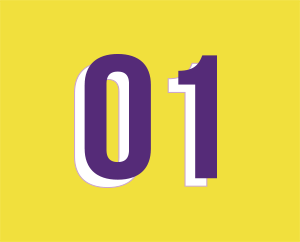 A patient simply has to schedule the genetic test at UConn Health, and the billing is handled directly through the hospital, creating a streamlined process for the patient. Early diagnosis of hATTR can also bring awareness to family members who might be afflicted. To refer a patient for a free hereditary amyloidosis screening, call 860-679-7505. Lung cancer kills about 150,000 Americans each year. But when it is detected early, survival rates improve exponentially. UConn Health is the first hospital in New England to use a new robotic technology to diagnose cancer sooner, getting patients the treatment they need and saving lives. Supporters of U.S. Supreme Court Justice Ruth Bader Ginsburg breathed a collective sigh of relief this winter after two cancerous nodules were successfully removed from her left lung through a lobectomy. Ginsburg’s cancer was found during the routine testing done after the fit 85-year-old fractured several ribs in a fall, and for a moment the diagnosis cracked the seemingly invincible façade of the octogenarian icon. Although Ginsburg’s cancer was found by chance, her story is a great example of how early detection and swift action can improve the likelihood of survival for lung cancer, the deadliest cancer for both men and women in the U.S. by a wide margin. 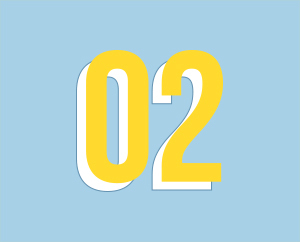 More people die of lung cancer each year than of colon, breast, and prostate cancers combined, and more than half of people with lung cancer die within a year of being diagnosed, according to the American Lung Association. But when the cancer is detected early, before it spreads beyond the lungs, the five-year survival rate jumps from 5 percent to 56 percent. The problem is, just 16 percent of lung cancer diagnoses come at an early stage, American Lung Association statistics show. Since lung cancer is the second most common cancer in both men and women, proper screening for those at risk could save tens of thousands of lives. A revolutionary precision technology now at UConn Health is making early diagnosis easier than ever. 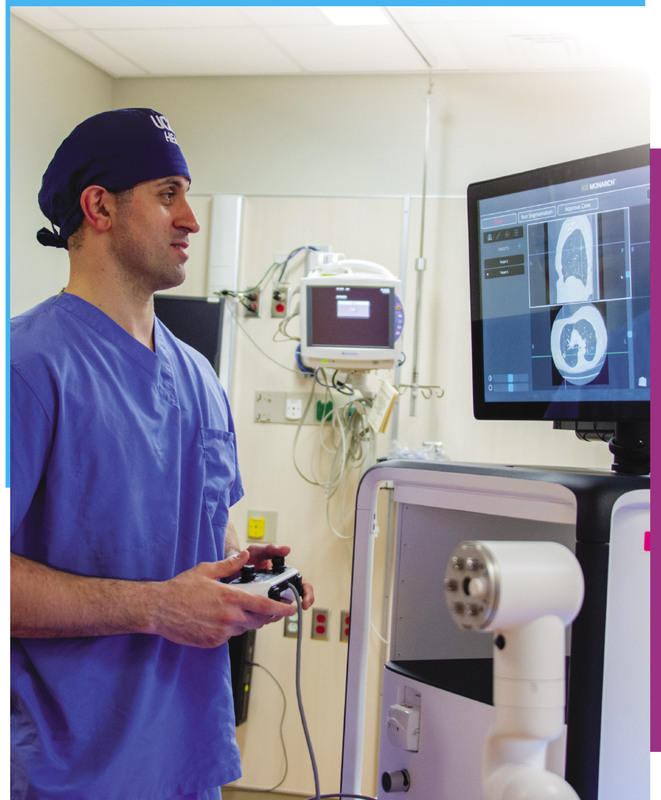 UConn Health is the first hospital in New England and among the first in the nation to offer robotic bronchoscopy on the Monarch platform from Auris Health, allowing physicians to quickly diagnose lesions detected through low-dose CT scans, including those that are small or in hard-to-reach parts of the lung. “Before this technology, the targets would’ve had to be bigger. I wouldn’t be able to make certain angles without the robotic arm to navigate,” says Dr. Omar Ibrahim, UConn Health director of thoracic oncology and interventional pulmonology. “I have a higher degree of confidence and accuracy with this than with prior equipment. 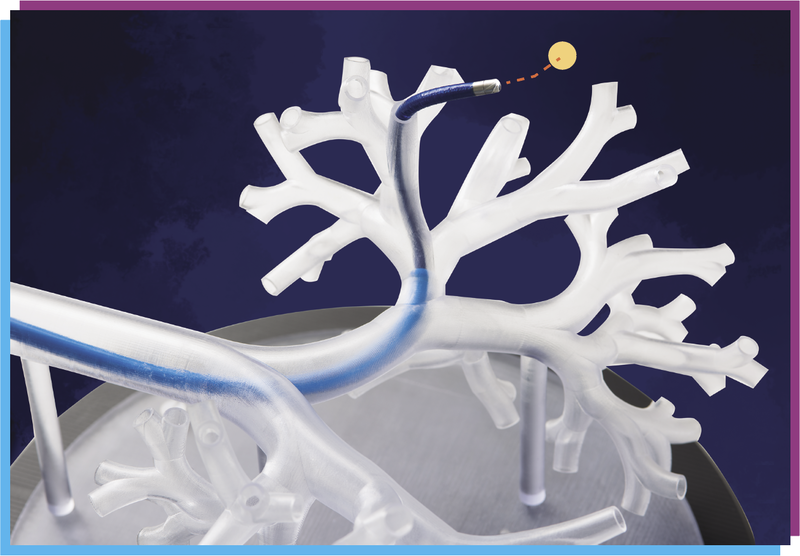 The Monarch platform’s advanced, precision endoscope allows physicians to access hard-to-reach parts of the lungs and their bronchi and to diagnose lesions earlier than ever before. 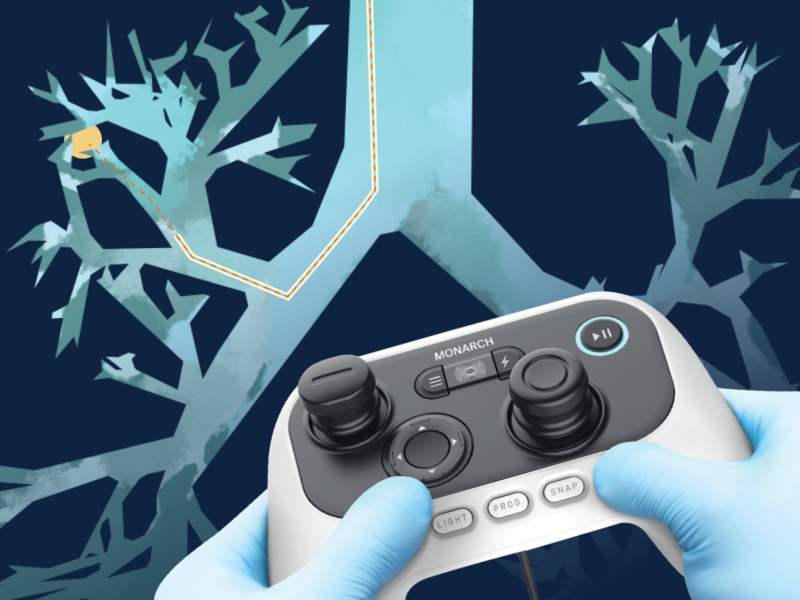 With its user-friendly, video-game-style controller, the Monarch platform allows the physician to move the endoscope up and down, left and right, forward and backward through a lung and its bronchi. Buttons on the controller make the scope of view bigger or smaller, while others control suction or irrigation. Procedures are done in the operating room under general anesthesia. Within about an hour, the doctor will biopsy the suspicious nodule and a lymph node for analysis by a pathologist. The patient can go home the same day. Not only does earlier diagnosis improve patients’ chances for survival, but it also helps reduce unnecessary stress, says Wendy Thibodeau, the lung cancer nurse navigator at UConn Health’s Carole and Ray Neag Comprehensive Cancer Center. “We have had patients where initial and subsequent biopsies are inconclusive. A decision then has to be made: remove the nodule surgically, or watch it for growth,” Thibodeau says. A revolutionary precision technology is making early diagnosis easier than ever. Routine screenings of high-risk patients — those with histories of smoking, especially — using low-dose CT scans and minimally invasive techniques help detect lesions and diagnose more people all the time. The Monarch platform is the next step in improving outcomes for lung cancer patients, and Ibrahim sees even more groundbreaking advances on the horizon. In his time at UConn Health, Ibrahim has worked to improve the experience of UConn Health’s lung cancer patients, particularly through a multidisciplinary team that allows patients to come to one clinic to see a variety of doctors. He believes the robotic bronchoscopy technology will allow the team to deliver even better results. Dr. Omar Ibrahim, UConn Health director of thoracic oncology and interventional pulmonology, demonstrates the Monarch technology. 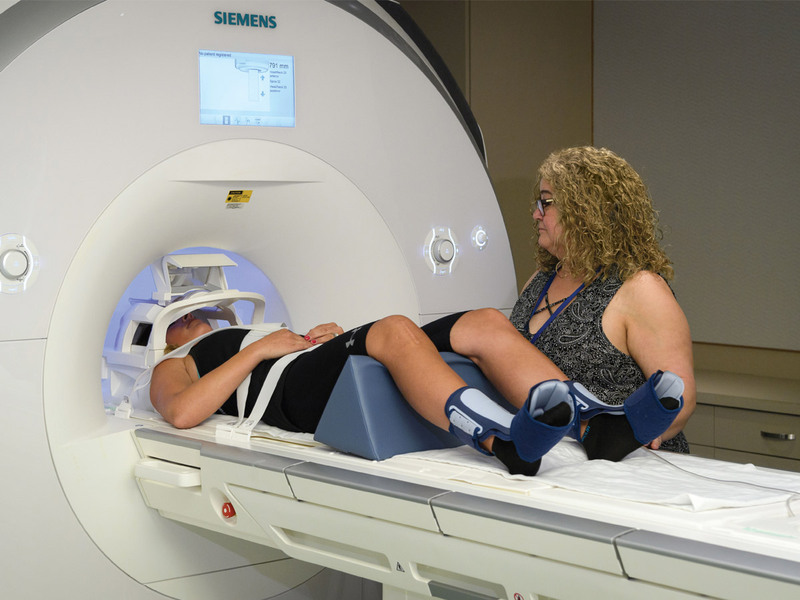 MRI service manager Elisa Medeiros prepares a patient for functional MRI testing at the Brain Imaging Research Center in Storrs. UConn’s Brain Imaging Research Center (BIRC) houses a powerful 3 Tesla Magnetic Resonance Imaging (MRI) scanner that was installed in 2015 and originally dedicated purely to research. The BIRC’s machine can take detailed pictures of fine structures in the brain, do functional MRI, and spot tiny flecks of blood that might signal a concussion or spine injuries. But the state had not previously licensed the BIRC’s machine to perform medical work. “Soon after I started as chair, it became clear we had a long history of our UConn Husky athletes having scans done on the outside. But then their docs would bring the scans to us for a second read because they trusted us,” says Dr. Leo Wolansky, head of radiology at UConn Health. “It’s our moral obligation to take care of our own people,” but it was a lot of unpaid work too, he observes. When we read the scans, it’s no different than if patients were down the hall. Wolansky worked with the team at BIRC, along with regulatory and business development staff at UConn Health, to get permission from the state to use the center’s machine for medical imaging. The machine was set up to run clinical scans, and hardware was installed to transmit medical data securely from the BIRC, which is located in the Phillips Communication Sciences Building in Storrs, to UConn Health in Farmington. “The biggest benefit is the integration between campuses. It’s a huge success for us to do this,” says Fumiko Hoeft, the director of BIRC, noting that revenue from the scans will enhance the financial stability of the center. Wolansky, who is based in Farmington, agrees. UConn Health this winter established New England’s first Cranial Nerve and Brainstem Disorder Program, bringing together a multidisciplinary team of experts to streamline care for patients with such conditions. Led by esteemed neurosurgeon Dr. Ketan R. Bulsara and ear, nose, and throat specialist Dr. Daniel Roberts, the team collaborates with specialists from nearly a dozen departments and will encompass clinical care, research, and teaching. The program guarantees rapid evaluation of patients, regardless of whether they were diagnosed recently or long ago. Patients or practitioners can submit a request through the center referral portal, which is staffed by Bulsara and Roberts. For neurosurgical or ear, nose, and throat issues, the patient will be offered an initial evaluation appointment that is within a week of their request. If the cranial nerve or brainstem issue is not related to the ear, nose, and throat or a neurosurgical issue, the physicians will connect the patient with the appropriate service. Areas of care include acoustic neuromas; blood vessel problems including aneurysms, arteriovenous malformation, and cavernomas; brain tumors; hemifacial spasm; meningioma; neurofibromatosis; skull base tumors; trigeminal neuralgia; and taste and smell disorders. Care is offered at UConn Health’s Outpatient Pavilion in Farmington and at its community clinics in Southington and West Hartford. Visit the Cranial Nerve and Brainstem Disorders Program website for more information. 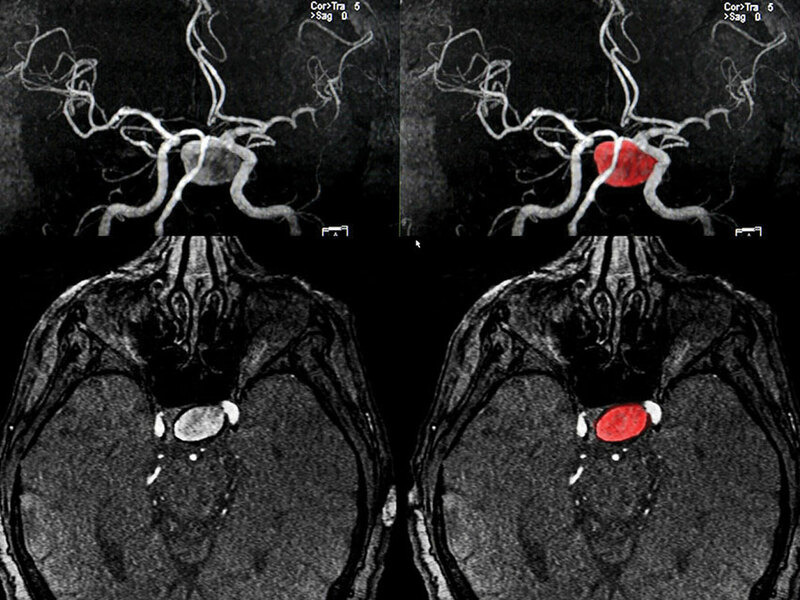 Magnetic resonance image shows a cerebral artery aneurysm. A new minimally invasive procedure has emerged as a safe way to treat certain brain aneurysms, and UConn Health’s Division of Neurosurgery is among its earliest adopters. The advancement, based on a stent that’s been in use for a decade, is known as the Neuroform Atlas. That ability further broadens the range of lesion types that can be treated through minimally invasive means. Most patients who undergo this procedure can go home the following day. 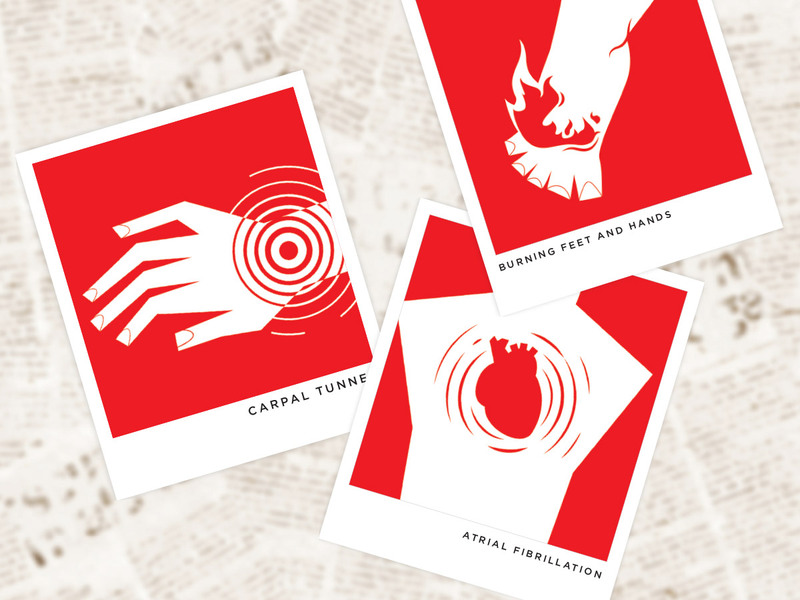 An aneurysm occurs when part of an artery’s wall weakens, causing the artery to bulge. Aneurysms are usually asymptomatic but in some cases can rupture and cause life-threatening internal bleeding. When this occurs in blood vessels leading to the brain, it causes a hemorrhagic stroke, which requires emergency care. Once an aneurysm is detected, it is important to get an assessment for its risk of rupture as soon as possible. Bulsara says about a third of patients who suffer a ruptured brain aneurysm die, and another third who make it to the hospital don’t fully recover. The first Neuroform Atlas stent placement at UConn Health was among the 20 cases neurosurgeons completed in UConn Health’s new hybrid operating room within the first month of its opening. Dr. Ketan Bulsara and Dr. Daniel Roberts use the new augmented reality microscope in the hybrid OR at UConn John Dempsey Hospital. UConn Health is the first hospital in the nation to acquire a high-tech surgical microscope with augmented reality capabilities to visually assist surgeons during complex neurological and spinal surgeries. This technology — the latest added to UConn Health’s state-of-the-art hybrid operating room — provides surgeons with an enhanced 3D visualization of the surgical field at the highest magnification possible. It can also illuminate the blood flow through various brain tissues, making more precise surgical interventions possible. “The advanced augmented reality, image-guided microscope allows us to go beyond what we can normally see with our naked eye and traditional microscopes. It allows practitioners from multiple surgical specialties to treat even more complex lesions more safely,” says Dr. Ketan Bulsara, chief of the Division of Neurosurgery at UConn Health. The microscope’s unique FusionOptics technology allows a surgeon to see greater anatomical detail with increased sharpness, such as the tiny distances between the smallest blood vessels and nerve structures, without needing to refocus the microscope. It also has the ability to brightly light up tiny blood vessels in the brain to distinguish them from other surrounding brain tissue, helping surgeons navigate the complex and delicate surgical field. The microscope also includes a video camera that allows surgeons to choose one of three enhanced overlays to amplify the view of the surgical field. The three views are a real-time, highly magnified naked anatomy; a black-and-white, fluorescence-enhanced view to see greater tissue dimensions and blood flow; and a brightly colored, fluorescence-enhanced view of naturally colored anatomy to see the intricate blood flow and tissue outlines during a microsurgical procedure. The ARveo Augmented Reality microscope is made by Leica Microsystems, a developer and manufacturer of microscopes and scientific instruments for the analysis of microstructures and nanostructures. Dr. Emily Germain-Lee with a patient at the Albright Center at Connecticut Children’s Medical Center. National recognition by external sources such as U.S. News & World Report comes as no surprise to the thousands who pass through Connecticut Children’s Medical Center each year. What may be unexpected to those patients is that such success is the fruit of a more than 50-year legacy of the pediatric department at UConn School of Medicine advancing pediatric medicine, research, and education in Connecticut — and putting the health of the state’s tiniest residents first. The life-changing work done by UConn’s Department of Pediatrics is made possible by a special partnership: Connecticut Children’s Medical Center is the teaching hospital where medical students, pediatric residents, and fellows are trained, as well as the home of the faculty’s clinical care work. “UConn’s Department of Pediatrics’ strong relationship with Connecticut Children’s is excellent and seamless. There is no us and them. We are truly one, and we couldn’t excel without each other,” says Dr. Bruce T. Liang, the dean of the UConn School of Medicine since 2015. Liang has helped expand the two institutions’ joint recruitment of world-renowned physician-scientists and has led much of their growth in pediatric research. The seeds of excellence in pediatric care in the Hartford area were planted in 1967 with the founding of UConn’s Department of Pediatrics, shortly before the medical school admitted its first class in 1968. UConn John Dempsey Hospital offered pediatric hospital care when it opened in 1975. Hartford-area hospitals had an informal agreement not to duplicate pediatric specialty services — patients were transferred among the hospitals based on their specialty care needs. Connecticut Children’s was born in April 1996 after Newington Children’s Hospital, Hartford Hospital, and John Dempsey voluntarily closed their pediatric services so a comprehensive children’s hospital could open. It was established by state legislation and a 99-year lease of land on Hartford Hospital’s campus for 1 dollar per year. St. Francis Hospital and Medical Center’s pediatric programs were also incorporated. 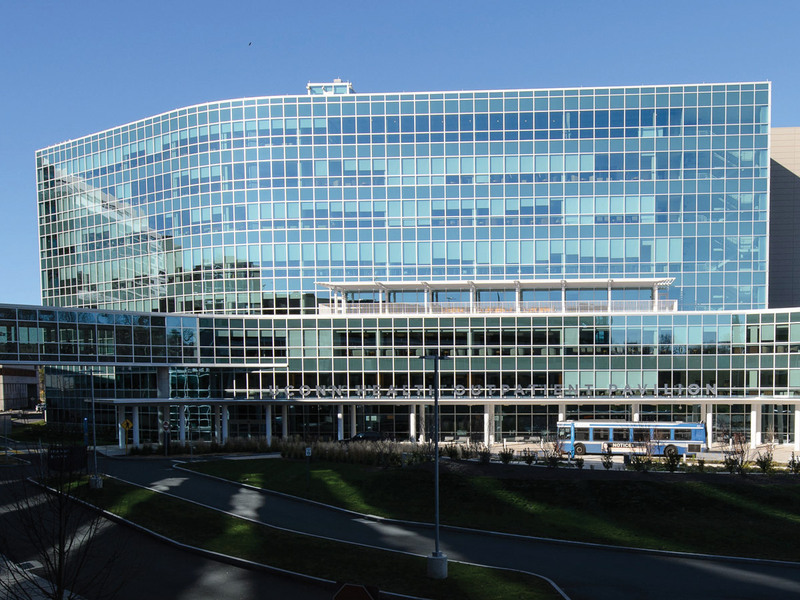 Uniquely, the leadership structure of the new pediatric hospital required that the same individual serve as both UConn’s Department of Pediatrics chair and Connecticut Children’s physician-in-chief. For 2018–19, U.S. News & World Report ranks Connecticut Children’s among the best hospitals in four pediatric specialties: cardiology and heart surgery, diabetes and endocrinology, neonatology, and urology. As one of the state’s largest care providers with 300 faculty members, UConn’s Department of Pediatrics has 31 medical and 13 surgical specialties. In addition to translational research and top clinical care, UConn Health’s mission includes a third focus on teaching the practitioners of tomorrow. UConn is the largest educator for the state’s pediatric medicine workforce, as up to 60 percent of pediatricians in Connecticut have graduated from UConn’s medical school or its pediatric training programs. Historically, UConn has also provided the largest pipeline of medical students into the state’s pediatric residency programs — each year up to 20 percent of UConn’s graduating medical school class chooses to specialize in pediatrics, entering residency training programs here or around the country. “Along with research advancements, our significant focus is the education and training of our next generation of pediatricians and pediatric specialists, many of whom stay right here in Connecticut to serve the state,” says Liang. UConn and Connecticut Children’s continue to strengthen their partnership in all three areas by building relationships with other organizations. The two institutions in 2016 joined with another collaborator, The Jackson Laboratory (JAX) for Genomic Medicine located on UConn Health’s campus, to recruit Dr. Ching C. Lau, an internationally recognized pediatric brain and bone tumor clinician and researcher. UConn and Connecticut Children’s look forward to growing their alliance, Liang says, and are planning joint physician-scientist recruitments in the fields of medical genetics and gastroenterology, as well as further collaborations in maternal-fetal medicine. 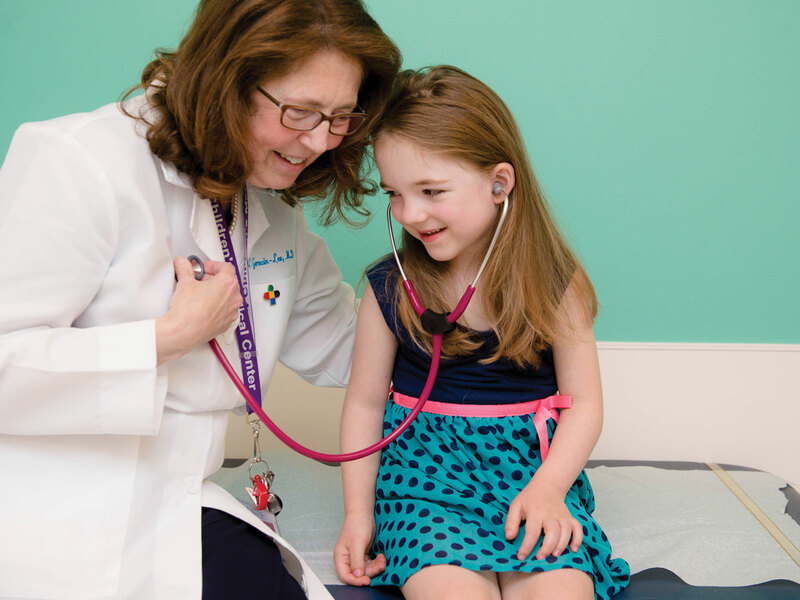 World-renowned physician-scientists across specialties bring to life the vision of Connecticut Children’s Medical Center and UConn School of Medicine’s Department of Pediatrics. Read on to learn about three of the groundbreaking physician-scientists who are currently dedicated to improving the lives of children in Connecticut and around the world. In 2016, Connecticut Children’s and UConn joined with another collaborator, The Jackson Laboratory (JAX) for Genomic Medicine located on UConn Health’s campus, to recruit Dr. Ching C. Lau, an internationally recognized pediatric brain and bone tumor clinician and researcher, from Texas Children’s Hospital in Houston. As medical director of hematology-oncology at Connecticut Children’s and head of the Division of Pediatric Hematology-Oncology in the Department of Pediatrics at UConn, Lau’s JAX-based laboratory aims to leverage new, sophisticated genomic medicine techniques, mouse models, and therapeutic treatments to choose the best therapy for patients and discover new treatments. When he was awarded the inaugural Martin J. Gavin Endowed Chair in Hematology/Oncology at Connecticut Children’s, Lau said he was attracted to the vision and dedication of Connecticut Children’s Medical Center. “I dream that one day when I look at a child diagnosed with cancer, I can look him or her in the eye and say, ‘You will be cured without having to come to the hospital for therapy. You just have to go home and take this medicine,’” he said. By using the combined approach of genomic medicine and accurate mouse models to choose the best therapy for each patient, Lau hopes to improve the speed and outcome of clinical trials as well as to reduce unnecessary side effects for children with cancer. One way he’s speeding up the process is through Smash Childhood Cancer, an initiative he’s spearheading for the U.S. alongside international researchers and IBM to find prospective treatments for childhood cancers by conducting millions of virtual experiments to help pinpoint promising drug candidates for further study using IBM’s World Community Grid. In late July, a patient named Jerrod received a drug infusion that he’s been waiting for his entire life. Healthy livers store excess sugar from food and release it into our bloodstreams when we need it as processed sugar enzymes called glycogen. However, in the seven forms of GSD, the liver fails to break down glycogen into glucose, causing the body’s blood sugar levels to drop dangerously low, which can lead to seizure or death. Patients stay alive by consuming a cornstarch mixture every few hours to keep their blood sugar up. The gene therapy undergoing the Phase 1/2 clinical trial, approved by the FDA in April, delivers a new copy of the gene to the patient’s liver to replace deficient sugar enzymes and jumpstart the body’s glucose control. Studies in animal models have already shown the promising gene therapy to be safe, effective, and long-lasting. The clinical trial is in conjunction with the biopharmaceutical company Ultragenyx and will soon expand from UConn Health in the U.S. to other sites including Canada, Spain, and the Netherlands. Weinstein moved his GSD program — the largest in the world — to Connecticut Children’s and UConn Health in early 2017. His multidisciplinary team cares for 600 patients from 48 countries. 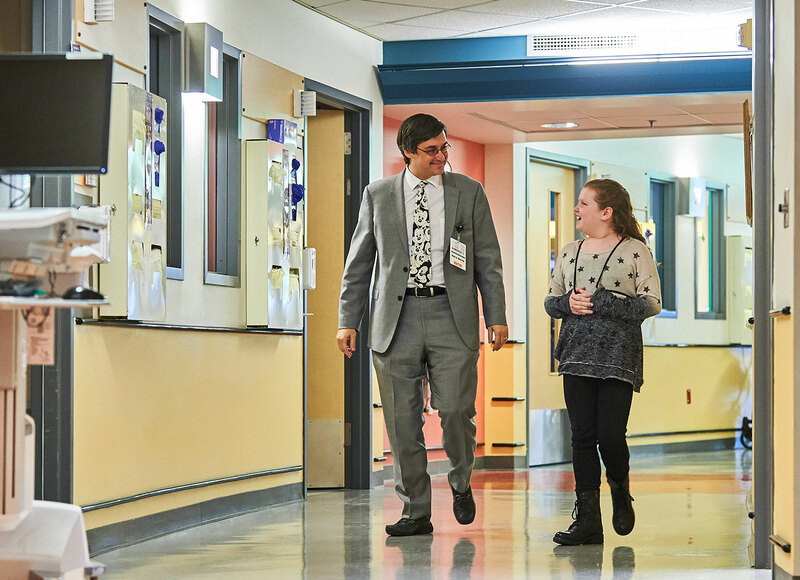 “The strong synergies and collaborative team science happening at UConn and Connecticut Children’s are world class and the most fertile ground to make a GSD cure reality,” says Weinstein. Dr. Emily Germain-Lee, a professor of pediatrics and chief of pediatric endocrinology and diabetes, moved her first-of-its-kind Albright Center from Johns Hopkins School of Medicine and Kennedy Krieger Institute to UConn and Connecticut Children’s in October 2016. She has cared for more patients who have a specific rare set of endocrine diseases than any other doctor in the world. Germain-Lee’s patients suffer from pseudohypoparathyroidism and its related disorders, including Albright hereditary osteodystrophy (AHO), a rare inherited bone disorder caused by a genetic mutation that often leads to short bones and short stature. It is also frequently accompanied by severe multihormonal dysfunction in the body. This summer, Germain-Lee co-authored the first international guidelines to help doctors around the globe diagnose and manage patients with the diseases. The new guidelines call for human growth hormone treatment for the vast majority of the patients who are at risk for short stature due to growth hormone deficiency. Germain-Lee was the first to discover that part of the reason why AHO patients are short is that two-thirds of them have a growth hormone deficiency. Her long-term global clinical trial studies have shown the promising benefits of growth hormone treatment, including its ability to drastically increase a patient’s short stature to their original destined height potential while also improving their lipid levels and reducing obesity. With her research in the final stages, Germain-Lee is working toward gaining FDA approval of the therapy, which would be the first new therapy for the disorder in 70 years. “I am thrilled to be a part of the combined power of UConn School of Medicine and Connecticut Children’s Medical Center for advancing children’s health and discovering new treatments of disease through research,” says Germain-Lee. UConn Health is engineering innovative solutions for bone and joint problems, promoting faster recovery and less trauma to the body. We’ve all signed a child’s colorful cast on their broken arm, gotten a call to inform us an elderly relative fell and broke a hip, or been laid up with back spasms ourselves. Maybe you’ve had a knee replacement or dealt with joint pain from years of athletic activity. It’s practically inescapable — 1 in 2 American adults suffers from a musculoskeletal disorder or injury such as arthritis, chronic back pain, fractures, or osteoporosis, according to 2016 data from the United States Bone and Joint Initiative (USBJI). This is compounded by the fact that the U.S. has a rapidly aging population and, as people age, they lose bone density and the risks increase. Experts say the incidence of and costs to treat such issues are in danger of spiraling out of control. But researchers at UConn and UConn Health are using a host of materials and technologies — from stem cells to spider-spun silk fibers to hydrogel to ultrasound waves — to strengthen bones and joints and accelerate recovery from musculoskeletal diseases and injuries. “Musculoskeletal injuries are among the most common reasons to see a doctor. If we can take care of those faster and more effectively, patients can get back to their activities and work faster, which helps everybody,” says Dr. Augustus D. Mazzocca, director of the UConn Musculoskeletal Institute (MSI) and chair of the Department of Orthopaedic Surgery at UConn Health. To that end, UConn Health doctors also are developing ways to get you home faster after any musculoskeletal procedure, including spearheading same-day joint replacements. UConn Health hip and knee replacement patients don’t have to wait for our clinical innovations to come to market. They can benefit from new approaches to the surgeries right now — and “right now” might also describe when they can go home post-op. “Nearly 100 percent of my patients go home within 24 hours, and some now the same day,” says Dr. Mo Halawi, a new UConn Health orthopaedic surgeon who specializes in joint reconstruction and is spearheading an effort to minimize the time these patients spend in the hospital recuperating. “The criteria for discharge are identical whether a patient leaves on the day of surgery or several days later. But with minimally invasive techniques, regional anesthesia, blood-conserving strategies, opioid-sparing analgesia, and immediate mobilization, patients are now achieving recovery milestones a lot quicker than before,” he says. of their homes,” he says. “Hip- and knee-replacement surgery is constantly evolving, and we need to always deliver safe, effective, efficient, and evidence-based medicine to our patients. Soon, more surgeons and patients will realize that long hospital stays and recovery times are outdated,” Halawi says. Though it is in the very early stages of development, UConn Health tissue engineer Syam Nukavarapu and his team have created a hybrid hydrogel system that they hope is the first step toward forming a hypertrophic cartilage template with all the right ingredients to initiate bone tissue formation, vascularization, remodeling, and ultimately the establishment of functional bone marrow to repair long bone defects. How the more than 200 bones in an adult human skeleton form and how they are repaired if injured varies and has posed a challenge for many researchers in the field of regenerative medicine. The cartilage template Nukavarapu and his team created appears to overcome hurdles that make it difficult for regenerative scientists to help the body’s long bones regenerate. Two processes involved with human skeletal development help all the bones in our body form and grow. These processes are called intramembranous and endochondral ossification: IO and EO respectively. While they are both critical, IO is the process responsible for the formation of flat bones, and EO is the process that forms long bones like femurs and humeri. For both processes, generic mesenchymal stem cells (MSCs) are needed to trigger the growth of new bone. Despite this similarity, IO is significantly easier to re-create in the lab since MSCs can directly differentiate, or become specialized, into bone-forming cells without any additional steps. 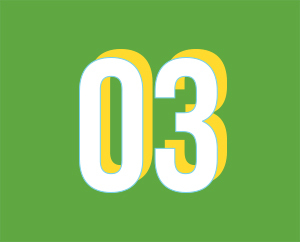 However, this relative simplicity comes with limitations. To circumvent the issues associated with IO, Nukavarapu’s team set out to develop an engineered extracellular matrix that uses hydrogels to guide and support the formation of bone through EO. Nukavarapu’s team’s findings could be the first step to initiating the proper healing of long bones with biomedical help. 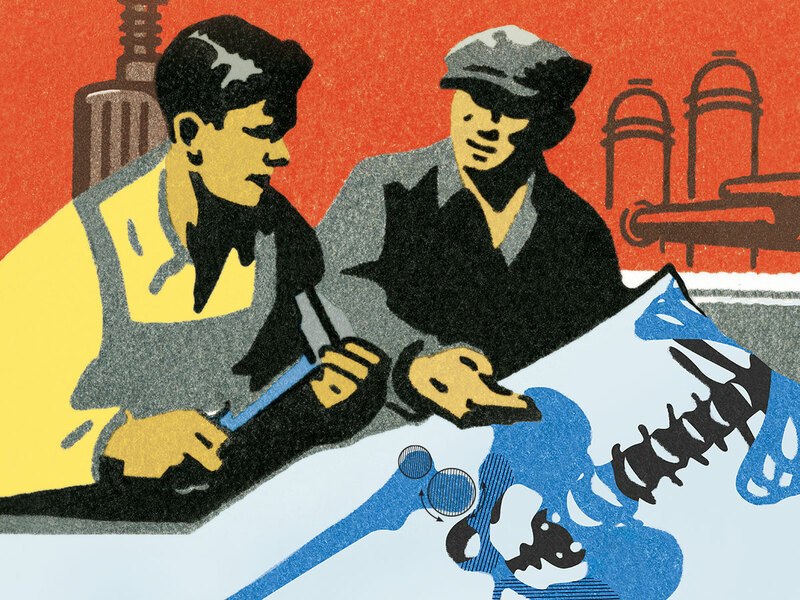 When someone breaks a load-bearing bone — the femur, for instance — doctors might install a metal plate to support the bone as it fuses and heals. But the metal can cause inflammation and irritation, and since metals are very stiff, the new bone may grow back weaker and more vulnerable to fracture. UConn materials scientist and biomedical engineer Mei Wei and her team have developed an alternative to metal: a composite made with silk fibroin, a protein found in the silk fibers spun by spiders and moths and a common component in medical sutures and tissue engineering because of its strength and biodegradability. Wei’s study found that the high-performance biodegradable composite showed strength and flexibility characteristics that are among the highest ever recorded for similar bioresorbable materials. Working with UConn mechanical engineer Dianyun Zhang, Wei’s lab created a mix of silk and polylactic acid fibers coated in bioceramic particles. The new composite lasts about a year — large, adult leg bones can take many months to heal — and then starts to degrade. No surgery is required for removal. Tissue engineer Syam Nukavarapu (left) examines a specimen of his hybrid hydrogel in his UConn Health lab. In the Department of Orthopaedic Surgery and the Institute for Regenerative Engineering at the UConn School of Medicine, researchers Yusuf Khan, Bryan Huey, and Lakshmi Nair are studying the combined power of gel-encapsulated bone cells and ultrasound waves to help fractured bones heal. Physical force has been shown to stimulate bone cell regeneration for full healing, but immobilizing the fracture with a cast doesn’t allow for any movement. 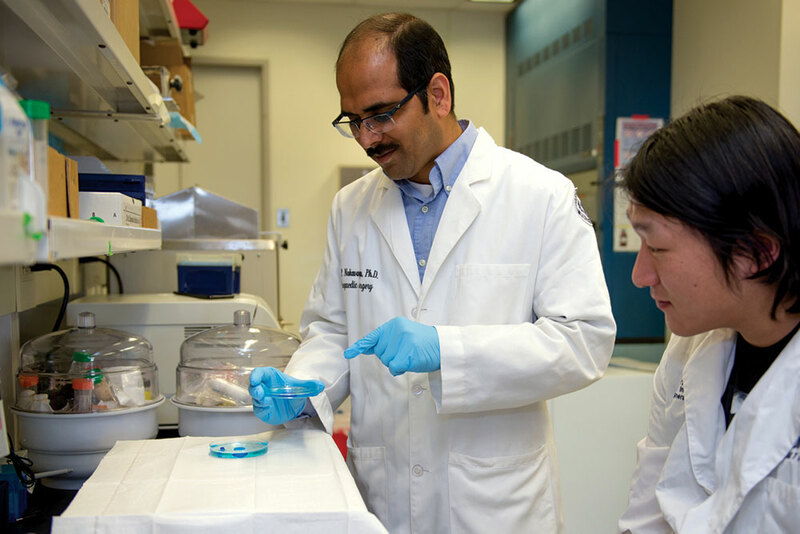 Khan believes that adding cells to the fracture site early on, and then directing a transdermal physical force toward the cells via low-intensity ultrasound, could accelerate fracture repair. In cases where a fracture can’t heal on its own, the therapy could provide the necessary stimulus to complete the healing process. The team’s lab has already demonstrated the successful placement of bone cell hydrogels in mice and is working with the Department of Materials Science and Engineering to optimize the gel capsules for human use. Dr. Cato T. Laurencin, the Albert and Wilda Van Dusen Distinguished Professor of Orthopaedic Surgery and the director of the Institute for Regenerative Engineering at UConn Health, is developing clinical therapies to treat — and potentially reverse the effects of — osteoarthritis using human amniotic tissue, stem cells, and new combinations of the two. An estimated 20 percent of Americans suffer from osteoarthritis, the most common degenerative joint disease and the leading cause of disability worldwide. Although current surgical and non-surgical therapies can provide some relief, none treat the root cause of the disease. Stem cells have been proven to reduce pain and improve function in osteoarthritis patients. New studies suggest that the use of stem cells may heal cartilage, but results vary. Thanks to the host of powerful cytokines contained in amniotic tissue, many of which have been shown to decrease inflammation, Laurencin believes human amniotic tissue may overcome the limitations of current stem cell therapies, providing an ideal delivery system with added benefits. In its initial studies, Laurencin’s team has found its amnion-based delivery system can support stem cell survival, growth, and proliferation, and that the combination of amnion matrices and stem cells have immunosuppressive and anti-inflammatory effects on knee tissue cells. Although it is not yet covered by insurance, amnion tissue treatment is available now to Laurencin’s patients. Laurencin’s team hopes to make the combination amnion¬stem cell therapy available within the next three years. From the advanced research that’s changing the care of the future to the clinical changes happening now, Musculoskeletal Institute head Mazzocca says the Institute is uniquely positioned to provide the best possible care to patients. Jessica McBride, Colin Poitras, and Lauren Woods contributed to this story. 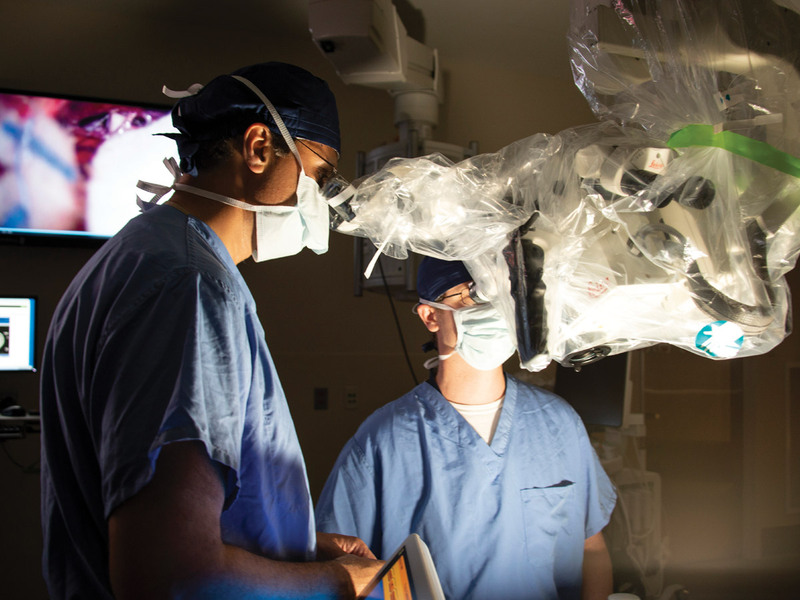 This spring, neurosurgery chief Dr. Ketan Bulsara and his team were the first to perform surgery in UConn John Dempsey Hospital’s 1,200-square-foot hybrid operating room. The team leveraged the new high-tech room and its dual advanced X-ray imaging capabilities to guide a successful minimally invasive neurological procedure. The hybrid room gives surgeons the ability to perform a range of procedures in one setting, from minimally invasive treatments to the most complex neurosurgery, interventional cardiology, and vascular procedures. “The hybrid operating room allows surgeons to choose what they feel is the best treatment for that patient,” says Bulsara. According to Bulsara, the hybrid room enables UConn Health to continue providing world-class care to its patients while shaping the future of surgery and medicine and optimizing the personalized care given to each individual patient. The hybrid operating room is a new tool for us that allows us to deliver health care in ways we have never been able to before. UConn Health’s Dr. Stephen Lahey, chief of the Department of Cardiothoracic Surgery, says he couldn’t agree more. All the high-tech equipment in the hybrid OR hangs from the ceiling, including imaging equipment, large plasma screens, and LED boom lights that assist surgeons with brighter and sharper lighting of the surgical field. A high-resolution video system provides real-time video and photo imaging during surgery for direct communication with the Department of Pathology or teleconferencing and live broadcasts of surgery for physician training and medical education. 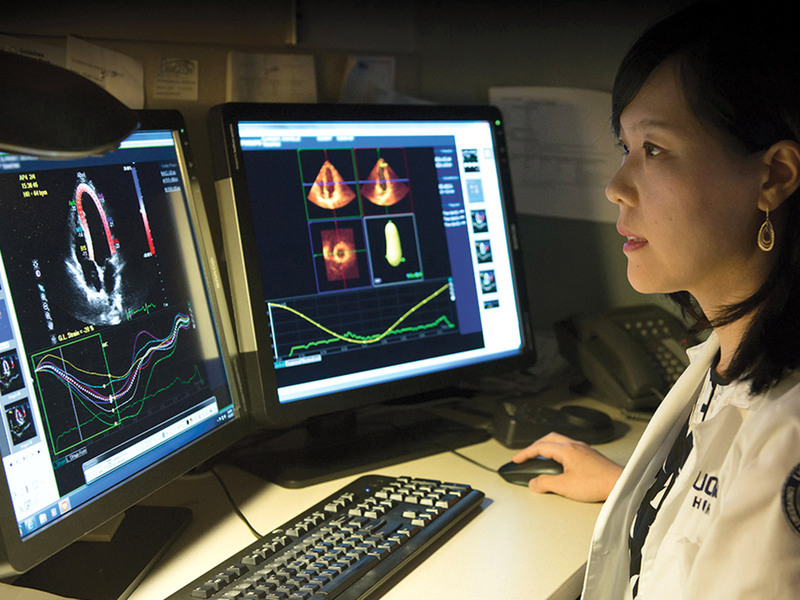 Dr. Agnes Kim, director of the Cardio-Oncology Program at UConn Health, uses new echocardiography strain imaging to detect signs of potential heart problems in cancer patients, before clinical symptoms are evident. There are currently more than 15 million cancer survivors in the U.S., and that number is expected to grow to 20 million within 10 years. But as more patients survive cancer, the risk of developing cardiovascular health issues from lifesaving chemotherapy and radiation treatments also is increasing. In an effort to detect cardiac health risks or conditions early, UConn Health has begun tracking cancer patients with an advanced heart imaging test before, during, and after chemotherapy and radiation therapy. New echocardiography strain imaging allows cardiologists to hunt for early warning signs of heart muscle function changes or damage within the heart tissue. 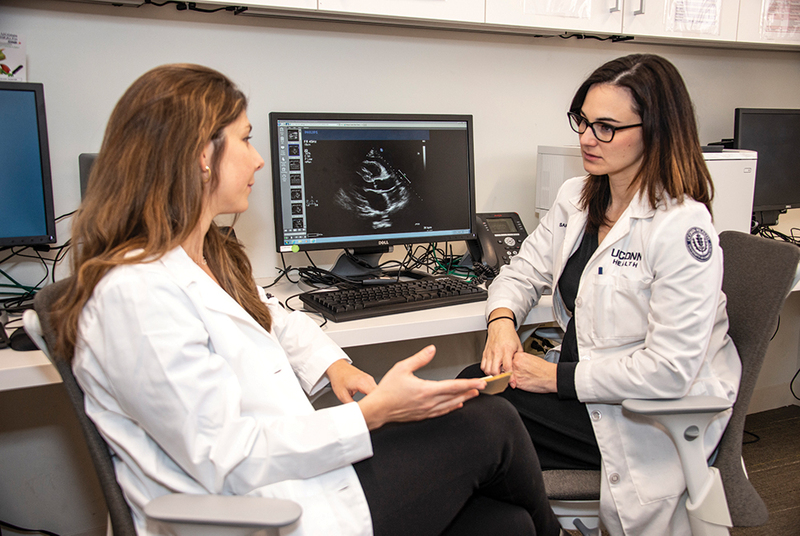 The in-depth strain analysis is powered by traditional ultrasound technology, which uses high-frequency soundwaves to create a sonogram of the pumping heart. Dr. Agnes Kim, director of the Cardio-Oncology Program at the Pat and Jim Calhoun Cardiology Center at UConn Health, says it’s very important to monitor cancer patients for any signs of cardiac toxicity. Studies have shown that confirming any changes in heart muscle strain can help doctors predict whether a patient is at risk for cardiotoxicity and its side effect of future heart failure. A decline in heart strain of 15 percent or more suggests cardiotoxicity, and doctors may prescribe cardio-protective drugs, such as beta-blockers or ACE inhibitors, or modify the patient’s chemotherapy dosage. Possible cardiotoxicity side effects from chemotherapy medications include a lowering of overall heart muscle function, which can lead to heart failure, formation of blood clots, or an increase in blood pressure. The side effects of radiation therapy also can lead to damaged heart muscle, heart valves, and arteries, or impact the lining of the heart. Kim launched the Cardio-Oncology Program in 2014 to ensure UConn Health had an integrated program of oncologists and cardiologists, allowing for coordinated care to address the potential risks to heart health that can arise from cancer treatment. The program also is studying the presence of serum biomarkers in the blood for predicting whether a cancer patient is at high risk for cardiotoxicity, as well as tracking cancer patients’ long-term heart health to analyze the impact of additional clinical care protections.